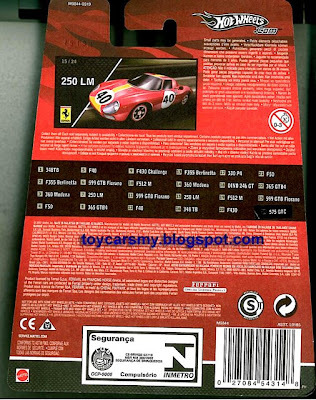 The same Hot Wheels Ferrari Series sold in Malaysia are now available in 7-11 Singapore. Despite the wave arrived slower than Malaysia, the local collectors could complete their collection with entire 24 models. Collector carry case is available as optional purchase to fit all 24 cars in a plastic case. 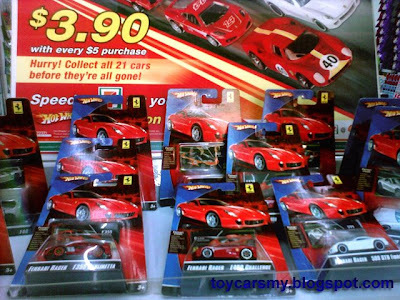 Each Ferrari are sold at SGD3.90 with any items purchase minimum of SGD5.00. In contra, Malaysia selling price are slightly higher than the neighbour country even during the promotion price at RM10.90. Hi Yeo, can you let me know the address of the store selling these Ferrari in Singapore?